While the state of Texas is best known for country music, rodeos, barbeque and traditional values, the city of Austin stands out with its diverse and unique culture. Austin’s promotion of creative expression has given rise to a multitude of live music venues and earned it the nickname “The Live Music Capital of the World.” From blues to country, indie rock to jazz, metal to folk and more, Austin’s plethora of live music venues means there’s always a show to be found. We’ve whittled the list down to 6 of the very best live music venues in the city. So be prepared for a foot-tapping or headbanging good time as you’re entertained by the myriad bands and artists playing in Austin. 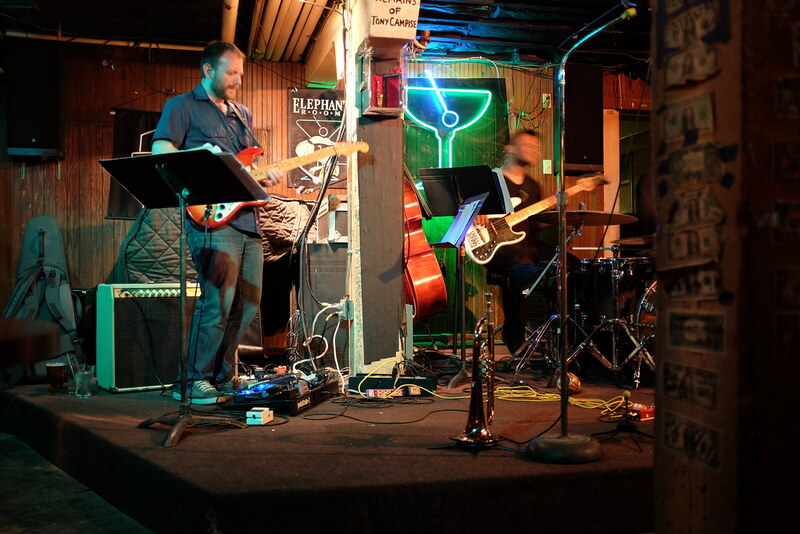 Skylark Lounge is a tucked-away dive bar and local favorite playing mostly blues and jazz. The lounge is known for its dark, cool vibe and relaxed atmosphere. Hang out on the patio or play a game of billiards in between sets. Full bar and cocktails served nightly. Sahara Lounge puts an African twist on their Eastside Austin music venue. Patrons love their relaxed, eclectic and somewhat divey atmosphere, free food on Saturdays and unique cocktails. African, indie, blues, funk and more can all be heard at Sahara Lounge. The backyard patio has a fire pit and long tables to make socializing and meeting new people easy. Cedar Street Courtyard is an outdoor live music venue located in a sunken courtyard with multiple bars to serve you martinis, cocktails, beer and wine. The venue features nightly live music ranging from bluesy jazz groups to 70’s and 80’s cover bands. Great place to go dancing, especially when the Spazmatics play on Wednesday nights. The intimate setting, great acoustics and gorgeous views make placing One World Theatre on our list of best music venues an easy choice. The theatre is made out of 85% recycled Styrofoam and gives one third of its tickets to non-profit organizations. Dinner is available before most shows for an additional price. It is recommended that you buy tickets early and online to guarantee your seat. If you love jazz, than the Elephant Room is a must while in Austin. This underground bar plays jazz music nightly and offers more than 20 different draft beers and wines. Shows begin at 9:30pm every day of the week or come early for Happy Hour from 4-8pm. The Nook Amphitheater is an outdoor music venue located on historic sixth street. The amphitheater is nestled between two buildings in an empty lot that once belonged to the since-burned-down Black Cat Lounge. Happy Hour is all day long on Mondays and until 11:11pm every other day of the week. Most nights you can find live DJs playing a mix of EDM, hip hop and trap music.